*Children traveling with an adult will save up to 10% on the land portion of their vacation. Limits on the number of young travelers apply and vary by destination. Kids must be within the following age limits to qualify for the discount: Europe, USA, Canada and South America – 5 to 17; Asia – 5 to 11; Australia and New Zealand – 5 to 15. 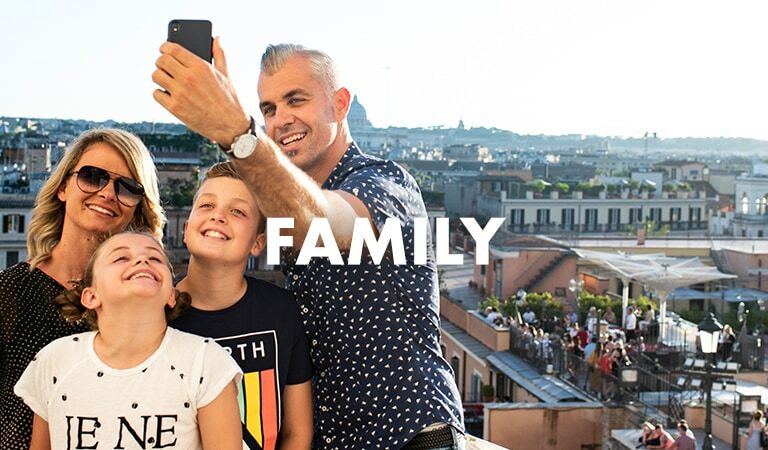 BOOK ONE OF THESE TRIPS NOW AND RECEIVE AN AIRFARE CREDIT OF UP TO $450 PER PERSON - YOU’LL GET THE HIGHEST SAVINGS WHEN YOU CHOOSE AMERICAN AIRLINES, BRITISH AIRWAYS, IBERIA OR FINNAIR. HURRY - THESE DEALS WON’T LAST LONG!